TAIPEI & BRUSSELS – June 5, 2012 – SoftKinetic, the pioneering provider of 3D vision and gesture recognition technology, today announced a device that will revolutionize the way people interact with their PCs. The DepthSense 325 (DS325), a pocket-sized camera that sees both in 3D (depth) and high-definition 2D (color), delivered as a professional kit, will enable developers to incorporate high-quality finger and hand tracking for PC video games, introduce new video conferencing experiences and many other immersive PC applications. The DS325 can operate from as close as 10cm and includes a high-resolution depth sensor with a wide field of view, combined with HD video and dual microphones. SAN FRANCISCO – May 31, 2012 – Everybody dance now… or else! The Pygmies of Pocket God are ready to shake it, one time, on the dance floor of their all-new apocalypse chamber in the game’s latest free update. 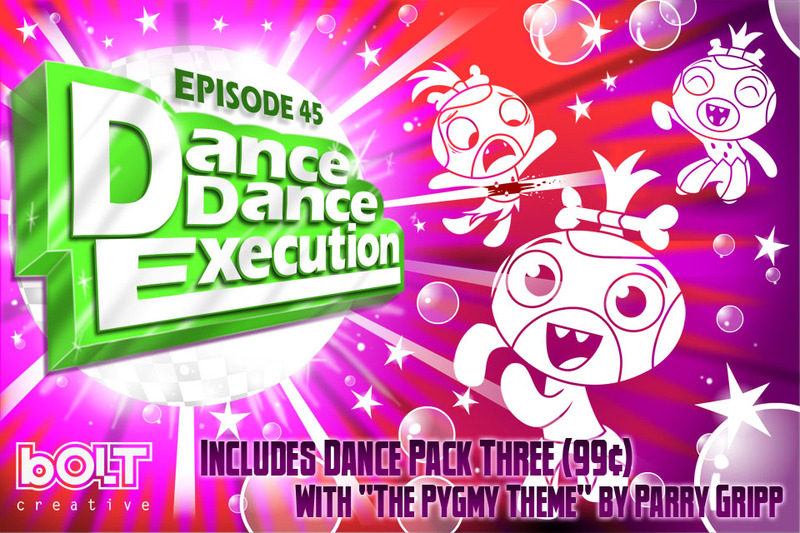 Limber up, take a hit of helium, and show the world your moves in Pocket God Episode 45: Dance Dance Execution, available for free on the iTunes App Store today. The new episode takes place in a hot new Pygmies-only dance club, where the island’s hapless inhabitants can unwind after a long day of perpetual death, and take part in a new dancing mini-game… which will also actually lead to their demise. It’s a rough life, being a Pygmy. BRUSSELS – January 30, 2012 – SoftKinetic today announced the development of a revolutionary digital signage solution that combines the Intel® AIM Suite, an anonymous viewer analytics technology providing a powerful data collection and audience measurement tool, with SoftKinetic’s DepthSense™ 3D camera and iisu™ 3D gesture recognition middleware. With this solution retailers and advertisers get the opportunity to engage consumers through body –controlled advertisements while measuring audience behavior and viewer demographics.